I’ve always said, you can tell when an individual is on their true, uncompromised life path when they are a combination of unusual fitting parts. Does Jimbo Mathus fit into this category? Oh, without a doubt, and the title and cover of Confederate Buddha exemplify this wild contrast perfectly. Maybe you have heard of Jimbo (or James or Jim) Mathus before, or maybe you haven’t, but in my music world, he is an arch legend. 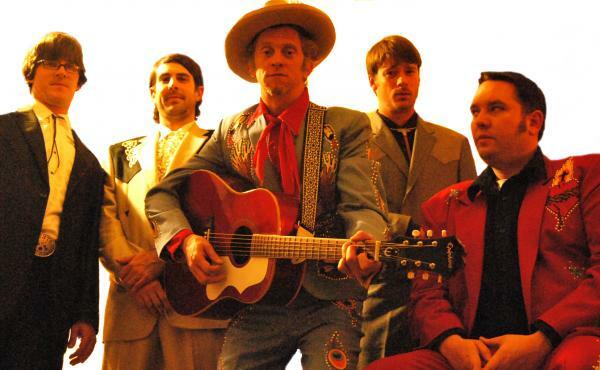 Possibly his most recognized contribution to the world of music is as the frontman and founding member of the eclectic Squirrel Nut Zippers, but even if you take this band and their platinum album Hot as a footnote, Jimbo’s solo offerings are as solid as anybody’s. I personally consider his 2001 album National Antiseptic one of the top 5 albums in all of music in the last 10 years. 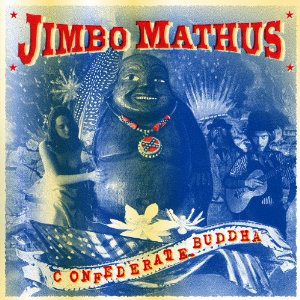 Confederate Buddha is yet another exercise in what Jimbo Mathus does best: Delving auspiciously into various styles of classic American music, while blurring the lines between them and injecting his deep-rooted Mississippi blood. Jimbo’s previous solo works are more blues and rock n’ roll-based with some dalliances with country mixed in. This is his most country album yet in the respect that it is more about telling the story behind the song and conveying a message first, instead of finding a groove and getting you moving. The presence of steel guitar in a few tracks helps as well, but moreover Buddha enacts a maturation in Jimbo, where he adds “premier storyteller” to his list of musical attributes. Jimbo Mathus is the real deal. He has what so many other musicians want, and try so painstakingly hard to mimic by playing through busted gear, drinking too much, attempting to unlearn their music perfectitude or distance from their intellectual elitism. He has authenticity. The NPR-ish “Roots without edges” crowd can only ape his style at best, afraid to be bold and unapologetically dirty and interruptive. Meanwhile Jimbo is throwing up Confederate flag symbols on his album cover and sporting a gold tooth and butterfly-collared shirts, not to be ironic, because it’s what he looks best in. There’s no pretentiousness in Confederate Buddha, no premeditated attempt to appeal to demographics. Just like Gram once explained to Emmylou about country music, the beauty of Jimbo’s songwriting is in the simplicity. 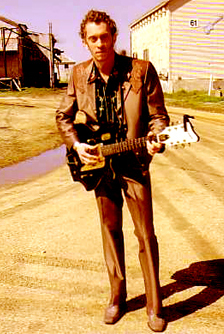 He’s not trying to Townes or Guy Clark you to death; this isn’t his element. He tells his stories like the common man of Mississippi would, with grit, purity, truth, and the beauty of colloquial language. “Cling to the Roots” is the marquee song from the album, being like a ball of clay that can can be molded to mean so many different things to different people, and then mean something different to the same person depending on mood or circumstance. With the backdrop of the tireless disasters plaguing the deep south, from the flooding of the Cumberland River in Nashville, to Katrina, to the Gulf oil spill, in a simple but poignant manner it conveys the wisdom and need for folks to depend and count on their roots, and not let tragedy destroy their sense of family, community, and culture. The only thing that left me a little confused about this album was the mystical imagery and accompanying language that didn’t really seem to play out too much in the lyrics or the approach to songs beyond “Wheel Upon Wheel” and maybe “Kine Joe”. The album seems to want to create a mystical mythos, but I don’t know if it does, or if it conveys a theme or has any universal scope. However Confederate Buddha continues and perpetuates the music mythos of Mathus as a genuine student and steward of American roots music, and a Mississippi and National treasure. 1 3/4 of 2 guns up! Great review of a great album. I’m a little surprised, though, that you didn’t mention “Aces and Eights,” which is actually my favorite track on the album by far. I checked out the previews and liked what I heard but lately, because I am so far behind on buying music, I have just been buying songs in mp3 format unless I am completely sure I want the whole-nine-yards… Don’t see any mp3 song options on amazon yet? Am I missin’ it? And if I am not, will there be?